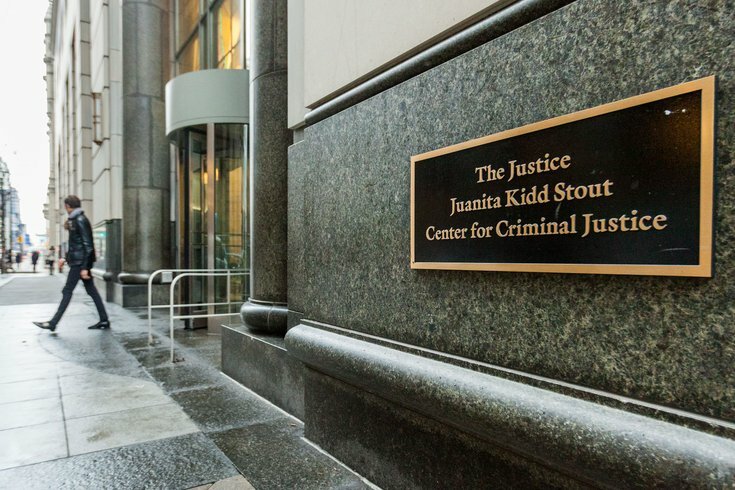 Philadelphia's Criminal Justice Center was the scene of a screaming match when a battle broke out between a judge, prosecutors and defense attorneys on Thursday, September 20, 2018. The move resulted in a Thursday morning screaming match at the Criminal Justice Center, unfounded rumors that a representative of the district attorney's office had been locked up and appeals to higher courts seeking to remove the case from Judge Anne Marie Coyle’s purview. Ask Hickey: Is it cool to lie to get out of jury duty or nah? Coyle politely declined to speak with PhillyVoice about the matter when approached in Courtroom 1002 on Thursday morning, but the defendant’s attorney, special prosecutor and a spokesman for District Attorney Larry Krasner shared their versions of a scene that none had ever before seen unfold. Demetrius Mayfield, a 26-year-old Frankford resident, has a long criminal history dating back to burglary charges in 2012, a drug possession plea in 2015 and a weapons possession charge in 2016. In that latter case, he pleaded guilty to prohibited possession of a firearm in May, and Coyle sentenced him to up to 23 months in jail and three years of probation. Released from custody with credit for time served, he (and a co-defendant) would be arrested again on weapons and drug charges less than two months later. That brought him back to Coyle’s courtroom on August 31 for a violation of probation hearing that was continued until Wednesday morning. According to court records, Coyle – a Villanova University School of Law graduate elected to the bench in 2014 after a legal career that includes 15 years as a prosecutor in Philadelphia – ordered the DA’s office to file a “Daisey Kates motion” allowing her to hear the probation-violation case before the recent arrest made its way to trial. On Wednesday, an assistant district attorney told Coyle he was under “strict instructions not to proceed” with that motion, according to Mayfield’s attorney, Joseph Coleman. When the ADA opposed the motion, the judge told him, ‘I don’t believe you’re representing the commonwealth (well),’” Coleman said. Several witnesses described that scenario even though the docket sheet states “the commonwealth of Pennsylvania has removed themselves from prosecution in revocation hearing." Speaking to PhillyVoice at the courthouse, Lloyd said Thursday that he received a call from Coyle’s staff on Wednesday night asking him to check if he had any conflicts which would preclude him from prosecuting the Mayfield case. He said he thinks he was selected because of his background as a prosecutor, law clerk and defense attorney, not to mention that he’d already be in Coyle’s courtroom on Thursday. “The judge said ‘I want to have that hearing now,’ before that case is resolved and have another hearing afterwards,” Lloyd recounted, to which the ADA responded, “We’re not doing Daisey Kates hearings anymore. They cited prosecutorial discretion to not do it." That did not go over well with Coyle, a cross-filed Democrat and registered Republican who wrote that her "reputation is that of a tough-minded, well-respected and experienced advocate" in a judicial-candidate questionnaire. Coleman explained that, in the latest arrest, Mayfield was in the car of a friend who is paralyzed from the waist down. Police found marijuana and two weapons in the vehicle, all of which the co-defendant said were his, so Coleman wanted to have that man testify as well. “I wasn’t asking her to let him out of jail,” Coleman said. He and many others in the courthouse questioned Coyle’s standing to make such a move. The DA’s office has already filed challenges and motions for reconsideration to Commonwealth and Superior Court. “I don’t know of any authority she has to appoint a defense attorney as special prosecutor. I’m not aware of any law that gives her that authority,” he said. “She was screaming at them mostly, because she feels as if they weren’t doing their job. “It was a s***show," he added. "She does not have the authority to appoint a special prosecutor. She has no authority to force them (to have the Daisey Kates hearing). She’s acting as an advocate, not a neutral factfinder. She’s abusing her authority." Meanwhile, the DA’s office was taken aback by the whole situation since it just wanted to prosecute Mayfield on the new charges before the bail violation. Cameron Kline, a spokesman for the DA's office, said he could not offer much comment on what transpired, or the case itself, since "it's still a pending matter" with active filings. Asked whether the refusal to proceed is now an official policy in Larry Krasner's office, he deferred comment and let the “we’re not doing Daisey Kates hearings anymore" statement made in open court speak for itself. Mayfield is scheduled to be back in court on October 18.